Eyeglasses have grown to be a very important accessory in a woman's wardrobe. 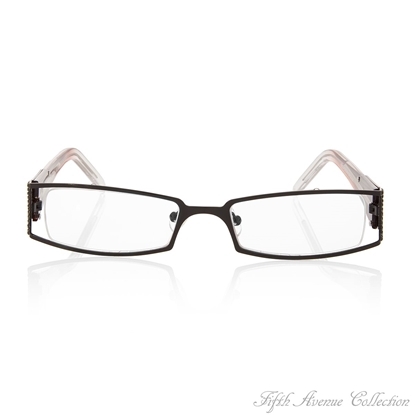 Smart acetate black and white frames are trimmed with Swarovski clear crystal to give their wearer true "Style Sense". Available in most common strengths. Nickel, lead and cadmium free. Extra, extra… read all about it! Fifth Avenue Collection's crystal studded acetate glasses have unbreakable lenses and are available in most common strengths. Nickel, lead and cadmium free.